The world has been waiting on new material from Jazmine Sullivan since November of 2010 when she released her last LP, Love Me Back. And after scaring the hell out of all of us by announcing her retirement in 2011, she has returned back to form with Reality Show. It’s just what we have come to expect of Jazmine Sullivan (that voice over throwback tunes), only matured, refined, and unbridled. For her third outing, Sullivan takes even more control, serving as the executive producer and primary songwriter for the entire project. Her influence is clear throughout the 12-track set, though it is most prevalent in the songwriting. She flexes her muscles with the seemingly lost art of storytelling through song, and she discusses topics outside of simple blind love or loss. On standout “Brand New,” Sullivan tells the story of the girlfriend left behind once her boyfriend’s rap career takes off. She embodies a “down chick” on “#HoodLove”, performing the song as if she was a modern incarnation of Aretha Franklin. “Silver Lining” tells the tale of someone just looking for a break that turns to robbery to pay bills and feed her children. Sonically, Sullivan alternates between modern productions and an 80’s sound much like she did in the aforementioned Love Me Back. For the retro efforts, there’s the synth. The electric guitar. It is a distinctive quality of the soul singer, her ability to take a sound so grounded in one era and reinvent it for today. You’ll catch it on “Let It Burn” and “Veins,” both testaments to the deepness of love. The modern productions are more hip-hop flavored. Lead single “Dumb” has a marching gait. “Mascara” is bass heavy enough to rattle your bones and your car. Sullivan walks in both of these lanes confidently and brilliantly. While the proper recording of “Stupid Girl” is good in its own right, the acoustic performances she has given of the song display it in a better light. Honestly, Sullivan doesn’t need affectations. Her songwriting can carry a song on its own, and her straight up delivery desecrates the efforts of other current singers. I worry that an album like this will go over the heads of most listeners just like D’Angelo and The Vanguard’s Black Messiah. Most people bought Black Messiah for the years of gestating nostalgia and hype, and the musicality present was largely wasted on those ears. For Sullivan, she’s got a loyal fanbase but not the legendary mythos that fueled D’Angelo’s return. She’s got a much tougher road to traverse. Still one of the brightest moments of the album comes toward the end on “Masterpiece,” where Sullivan embodies the mystique of Sade. It’s that smooth jazzy confidence that drips from the record as she likens herself to the Mona Lisa. 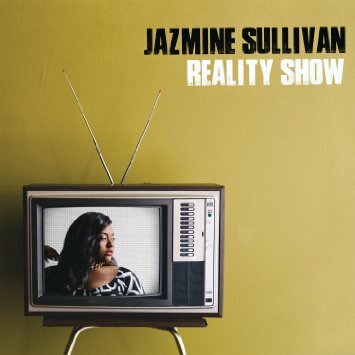 Jazmine Sullivan and Reality Show are just like that classic painting: flawed yet beautiful for the imperfections. Stream the whole album below and purchase it now! Here is Jazmine covering Whitney Houston’s “I Have Nothing.” For a song that has been covered to death, it’s nice to hear a fresh version.